To produce exceptional wine that is ours alone, with a character that reflects the specific conditions of our vineyard. Our belief is that a winemaker’s job is “to not ruin” what nature has given, extracting what has developed in the vineyard, not imparted in the winery. Our own small production allows us to age our wine in barrels made by small companies where highly experienced traditional coopers craft consistently high quality French Oak barrels. 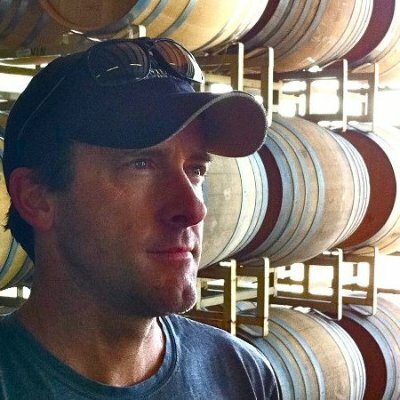 Ted Osborne started in the wine business back in 1995 at Cakebread Cellars. Having a ravenous appetite to learn the art of winemaking while getting his hands dirty, Osborne began a journey that would take him around the world to work in top winemaking regions. He traveled to places like Australia, South Africa, and Bordeaux, France to gather knowledge and experience about the trade. In the winter of 2000, Osborne returned from France and was brought on board at Storybook Mountain in Napa to help with their burgeoning Cabernet program. Once word got out of his success, in 2004, the Pina brothers hired him to make their vineyard designate Napa Cabernet Sauvignons. This further success led to offers to make wines for some of the most distinctive boutique wineries in Northern California. At SPENCE, Ted focuses on vineyard-defined wines made with minimal intervention to bring out the character of our vineyard in a balanced, elegant, and unique fashion. In planning our vineyard we made many choices that have allowed us to manage our fruit with precision; trellising, spacing, clones, rootstock, irrigation. We chose cordon trellising for better canopy control and oriented the vines north/south to allow the breeze to flow through the rows. The spacing is tighter due to our deep soil. Our careful selection of three clones of Cabernet were grafted on aggressive rootstock so that the canopy can be managed in warm growing seasons but will have the power to finish in cooler seasons. The irrigation system is zoned precisely for optimal deficit irrigation with sections consisting of only a few hundred vines each. Since this is our home vineyard we have the luxury of being able to manage our grapes by hand. This allows us to work the canopy to let in the perfect amount of light and air, and to drop the least optimal bunches of young grapes so that only the best reach maturity and go into our wine. For us, this is the most important step in producing SPENCE HOWELL MOUNTAIN Cabernet, we firmly subscribe to the notion that great wine is made in the field.